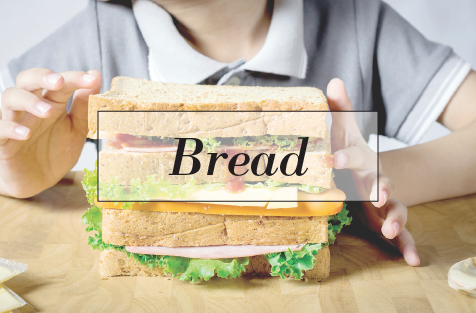 Gergran is a company dedicated to the business of deep frozen bread, pastry, and savoury product distribution, with a wide range of high Quality Bread, Pastry, and savoury products that offer customers Tradition and Innovation. We endeavour to bring value to our offer by developing one-of-a-kind recipes and products, either on our own initiative or challenged by our customers, always aiming at meeting our customers' needs, both in B2B and B2B2C. In 2013, we have distributed over 578.000 boxes. The export business currently accounts for 15% of our turnover. serving different purposes. 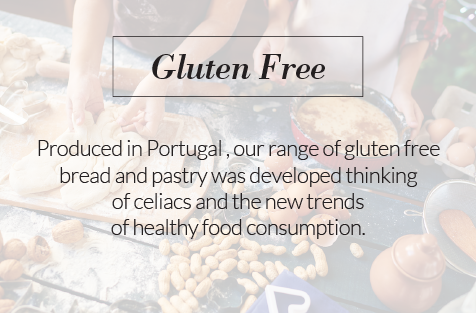 From the international Baguettes to the popular bread rolls, including Special breads and the essential Traditional types. bread dough, changed over the years. 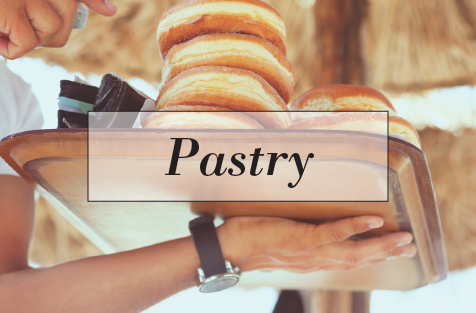 It was Parisian bakers who created the croissant as we know it. The Viennoiserie designation embodies part of this history and is named after its hometown: Vienna. Our filled croissants and Pecan Plait are the highlights of this offer. 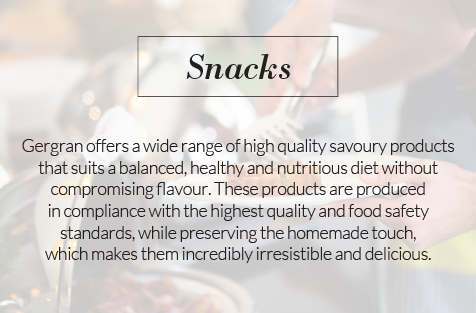 Gergran offers a wide range of high quality savoury products that suits a balanced, healthy, and nutritious diet without compromising flavour. 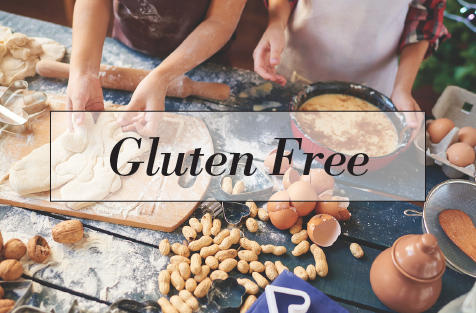 These products are produced in compliance with the highest quality and food safety standards, while preserving the homemade touch, which makes them incredibly irresistible and delicious. 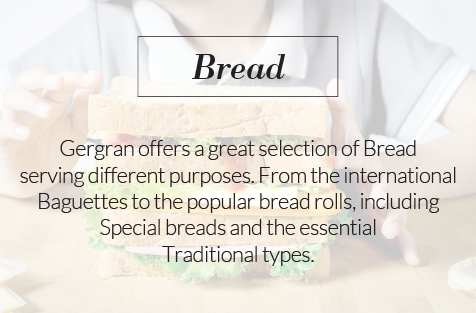 At Gergran, we seek for combining traditional flavours with a modern touch. 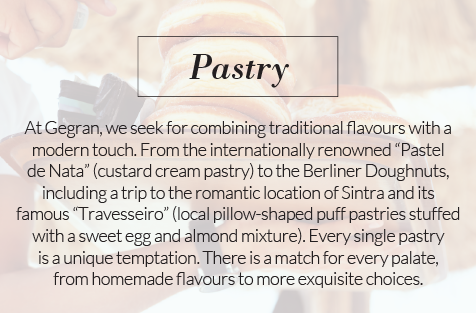 From the internationally renowned "Pastel de Nata" (custard cream pastry) to the Berliner Doughnuts, including a trip to the romantic location of Sintra and its famous "Travesseiro" (local pillow-shaped puff pastries stuffed with a sweet egg and almond mixture). Every single pastry is a unique temptation. 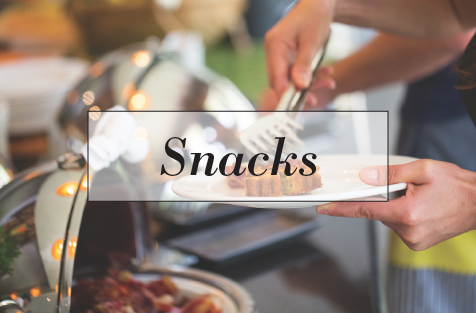 There is a match for every palate, from homemade flavours to more exquisite choices.